I need info from an old text. My iPhone deletes texts after one month. How do I restore a text message that was auto deleted? iPhone 6s, iOS 10.3.2, SMS. 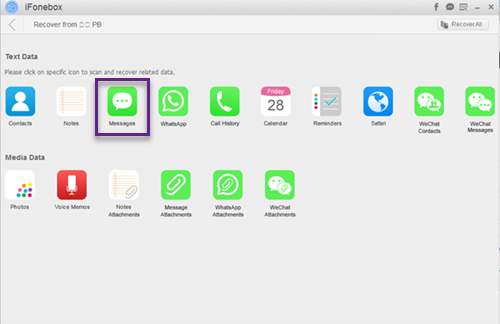 The question here is quite clear: how to restore auto deleted messages from iPhone 8/7/6? It is quite annoying when iPhone deleted data like text messages, notes, contacts automatically. Because sometimes, you forget to backup data on your iPhone thus some important data will be lost. Here, I want to introduce two methods to help you retrieve iPhone lost messages that auto deleted. If you are lucky enough to make an iTunes or iCloud backup for your iPhone data, you can follow this way. 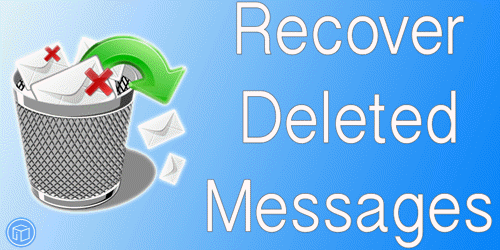 Just restore auto deleted messages from iPhone backup directly. Restoring from iTunes backup needs a computer. Firstly run iTunes on your computer and then, plug in iPhone. Once recognized, you can choose Restore Backup in the iTunes interface. While restoring from iCloud backup is quite easy. Just do it on your iPhone. Go to Settings> General>Reset> Erase All Content and Settings. Your iPhone will be set as a new iPhone and when rebooted, you can choose to restore from iCloud backup file. Keep in mind that when restoring from iTunes or iCloud backup directly, it means the whole backup. The whole backup data will overwrite the original data on your iPhone, which means you will lose other data like contacts. But if you get a new iPhone 8, it doesn’t matter. 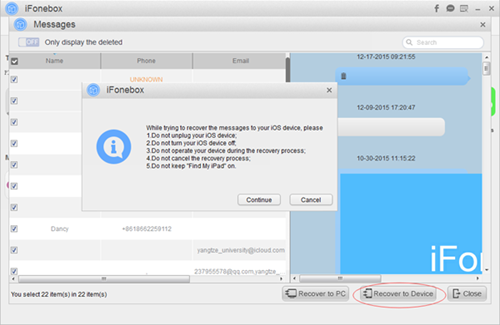 The second method to retrieve deleted messages from iPhone 8/7/6 is via iFonebox, a professional iPhone text messages recovery software, enabling you to retrieve at least 16 type of data on your iPhone including text messages, imessages, wechat messages, contacts, etc. Also, you can access and extract deleted messages from iPhone backup selectively, not wiping any data on your iOS device. 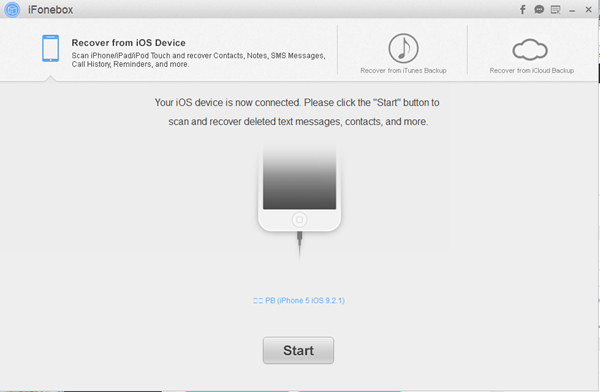 Plus, you can recover auto deleted text messages back to iPhone directly. Download and install iFonebox on your computer ahead. Two versions are accessible: Windows version and Mac version. This entry was posted in iPhone, Messages and tagged iPhone data recovery, iPhone messages recovery by IosdroneD. Bookmark the permalink.